Some interesting notes from these comments tell us how your hotel status may still be applicable on an Aeroplan hotel redemption while we see another person avoiding Aeroplan and using the not-so-well known Aegean Airlines method to achieving Star Alliance Gold Status, someone so fed up with Aeroplan they redeemed all their miles for merchandise and one other person actually choosing a tight fitting airline seat for a direct charter flight rather than redeeming Aeroplan miles for a connecting flight that incurred large fuel surcharges. I would love to hear more comments and stories from Aeroplan members, feel free to do so at the bottom of this post and finally I want to thank everyone who contributed their stories, without you this post would not be possible! Be sure to watch for the next Redemption Stories request in early April. I recently redeemed Aeroplan miles for a great two night stay at the W Hong Kong and it was well worth it. No problems at check in and once my SPG Gold info was added to my reservation, I had an upgraded room as well with awesome view of Kowloon harbor. My minor disclaimer is that I'm already an Air Canada Elite frequent flier so it's easier to upgrade to business class than it is to try and find one via Aeroplan. Aeroplan works for my strictly personal travel despite the now hefty 50,000 status mile requirement. On the other hand, it's currently easier to accumulate miles thanks to my proximity to Spokane plus I already have approximately 33,000 status miles towards 2013. I think aeroplan can be an excellent program if you have the means to accumulate a large number of points, if you can plan well in advance, if you want to travel in J/C, if you are flexible and if you have SE status. We have redeemed trips without SE status, but those trips were booked almost a year in advance. If you don't accumulate many points and you can only redeem in economy I don't think that the product is necessarily worth it - unless it's on a very expensive route - the taxes and fees on some routes are more than the fares and this doesn't seem like good value. I actually find the starwood program more beneficial, not for flights, but for hotels. Anyone can join, you can easily earn and use points and I have found that you can get excellent value. Overall I've had good experiences with Aeroplan including 7 trips to Europe, 3 to Mexico, 3 to San Francisco, 3 to New York, 1 to Costa Rica (never again), about 6 Vancouver to Toronto. My main complaint is about hidden charges, what else is new. Right now we don't book on Aeroplan to Europe or AC for that matter because of the horrendous fuel surcharge. Other than that they have been way better than most others including WestJet and Alaska Air. They at least have choices. You get what you pay for, seems to true all the time. I redeeem Aeroplan points about once every year or two for flights from Ottawa Vancouver and have never had any issues. Always helpful phone staff, and will make suggestions regarding other options for flights that don't always show on the website. We recently travlled business class Ottawa to Phoenix, and Aeroplan allows access to AirCanada lounges which was a plus. I wasn't impressed with the US Airways and American Airlines, for level of service for business class. Yes, there are fees/surcharges/etc but I would be paying those even if I booked seat sale prices. I have nothing good to say about Aeroplan, although i like Air Canada. I am an elite flier with Air Canada and as a result have more chances to redeem for flights. It is still ridiculous trying to get a flight for basic points. I either spend double miles for the every flight which means my points are worth half their value or i spend them on merchandise and hotels for one cent per point which makes them worth one one hundredth the value aeroplan promises. Next year aeroplan will further reduce the value of their program by moving my status from star alliance gold to silver, less benefits, less value. I am cancelling my aerogold visa with CIBC as i don't want more points with aeroplan. I have been Aeroplan Elite with Air Canada for over 20 years. The only Aeroplan miles I collect is when I fly to retain my status because they are just too difficult to redeem. Also, with credit cards such as Aventura, when I redeem my points for a flight I receive Aeroplan Miles on the flight - unlike Aeroplan tickets (even though Aeroplan and Air Canada are quick to point out they are two separate companies). I can also pick any airline with no blackout dates and in the rare occasion I do find a flight on Aeroplan, I can always convert my Aventura points to Aeroplan on a 1 to 1 basis. (Same with Amex Platinum). I have several hundred aeroplan points and as soon as I use them up, I will be dropping my CIBC credit card in favor of another program. I used to fly a lot for work, maintained elite membership and amassed a considerable number of points. Traveling on points used not to be a problem. I find now, however, that since Air Canada introduced their "Classic Plus" awards there are never any awards at the Classic level available and this includes being totally flexible and booking almost a year in advance. Aeroplan used to be a great program and maybe it still is at the elite and super elite level, but for those of us who fly less after retiring, the program is a disappointment. Just when we are flexible and can/will fly anytime, the program lets us down. Air Canada may want our loyalty, but they sure don't show any to us. I had a CIBC Aerogold for years but cancelled it when I finally came to my senses. We now collect via CIBC Aventura and we can actually USE our miles during peak periods and on short notice. The selection via Aeroplan is so limited unless you're willing to pony up 75,000 for a short-haul domestic flight! I had lots of success booking on Aeroplan many years ago (over 7-8) but now that I don't fly overseas very much, there is significantly less value derived from the points. if aeroplan did not charge the fuel surcharge on Air Canada flights and charged 50% of the miles on one way flights like other airlines it would be great. On united mileage plus you can book Air Canada flights without the fuel surcharge. I find this a bit ridiculous as Air Canada owns Aeroplan and it charges its loyal customers more money. I used to use my aeroplan points for flights but it doesnt really make sense with $ 200+ per ticket for redemption fee, tax, etc. I cashed them all out for gift cards and bought the kids beds, tv, ipods, etc. Easier and just use a cash back credit card now. I don't generate a lot of miles as I only have my credit card to earn miles. I have tried for a number of years to book flights at the regular rate but always find they aren't available and then have to use 1.5 times the miles. Even when I tried booking 355 days before the flight, I couldn't get the regular rate - which tells me that certain flights aren't offering seats at the regular mileage. I gave up and switched credit cards and don't collect Aeroplan anymore except at the gas station. I have no problem with Aeroplan itself, but I think the "reward" value is misconstrued. Advertisements for travel reward programs all tout "free airfare", yet when you come right down to it, there is no such thing as a free airline ticket. It is nearly impossible to collect enough points for a reasonable redemption with regular (not business) purchases unless one also holds a premium credit card; even then, it will generally take more than a year to collect enough points for an average couple to book a flight. Once the cost of the card ($125 per year) plus taxes, plus fuel surcharges are factored in, the ticket price can easily surpass what one would pay during a seat sale. Convenience must also be considered -- point redemption requires planning, and there is also the extra protection (insurance = more $$$) that can be purchased lest one's points be lost if a cancellation occurs. All in all, it may not be as good a deal as one would think. True, we have been able to redeem Aeroplan points for flights, but in all cases we were booking 5-6 months in advance. What I object to is going on the Aeroplan website, seeing flights are available, but being told I can't book a portion of the flight. All this means I have to call, and pay their agent for booking the flights I should have been able to book online. Another beef is the limited access to partner airlines often having to fly on very inconvenient Air Canada flights when a partner airline would have given me a a more direct and shorter duration flight. I plan to use up my remaining points and switch to another bank card. I looked at an AC flight to Europe on Aeroplan website and I would have to pay the fuel surcharge. I went on the United website and found the EXACT flight available to their mileage plus members and there is no fuel surcharge. How can Aeroplan collect fuel surcharge from it's members on behalf of AC and United does not have to?? You'll laugh at this one - it was from a few years ago, and I was looking to use some Aeroplan points to fly from Toronto to Kelowna and return. For two people the number of points was 25,000 per person, or 50,000 in total. But, I had 126,000 miles and was looking to use more. So, I entered that I wanted to book for three people - the number of points required was 193,500 - in other words, the third person cost 143,500 points. I assumed there was a system issue, and phoned their customer service hotline. The agent confirmed that the 143,500 was correct, and couldn't understand why I felt it was unreasonable! No matter what I said, it was still that many extra for one more person. Needless to say, we went ahead with the two person option on points. Two years ago, I was sitting on 200,000+ Aeroplan points. I wanted to book my family (4 tickets) to Orlando and back. I was flexible: any time in the next year. Didn't care. The search came back showing NOTHING was available. I got really mad, went online and redeemed all my points in about 3 minutes acquiring random merchandise - patio heaters, exercise equipment, etc... it all arrived in literally a few days. Their merchandise arrives faster than the Air Canada planes. Cleaned out the account with a 90,000 point J redemption on CO for very low (comparative taxes) after lucking out with dates. Had grown disillusioned with the program long ago when the much-vaunted short haul system went wonky and decided to turn YOW-YYZ flights into epic YOW-YUL-YYZ flights that took longer than a VIA rail train. Now proud user of RBC Avion Infinite (former Aerogold customer) and Aegean (booked to hit *G by end April), after abandoning Aeroplan in December. That will make it 25,000 miles in a shade under 5 months this year - only 6k on Air Canada. Should hit Aeroplans new *G threshold (50k miles) later this year. Just not with Aeroplan. For me, its a fail. I was going to use my points for a return flight, Toronto to Lisbon. 60,000 points and $500 in fees, over $300 of that the fuel surcharge. I had to route through Frankfurt. I found a direct flight on Air Transat for $686 including all fees and taxes. I'm going to use up my points on North America flights where the fuel surcharge is much lower. I've already switched credit cards and if I fly Air Canada, I earn points in one of their partner airlines. My 20 years of active membership in Aeroplan is coming to an end. I had been redeeming Aeroplan Points for years by calling them the first week of August to book a flight to Fla. so that we could take a winter cruise in Jan. or Feb. All went well until 2 years ago. I gave them 5 different cruises that I wished to coordinate with and they couldn't find me a flight unless I wanted to pay a premium of 15,000 points on top of the 25,000. Both I and all our family members cashed in and cancelled our Aeroplan accounts! I have been trying off and on for months to find suitable flights from Kelowna to Ottawa. There is almost nothing (classic reward) that does not require wither being at the airport at 5am, doing a red-eye or overnight, having to stay over a week or doing many many stops. For years, as long as I booked ahead, I used to have no problem getting this route at all. For instance, in September and October it is impossible to be able to go over a weekend (say Thursday to a Monday), unless I am willing to use 10x the points to get there. I was looking for 2 classic reward flight tickets unsuccessfully on line. Usually if I was willing to book close to a year in advance I could get your pick of routes. Not this time. I called in and spoke with an agent and, on another day, an agents supervisor who both told me that, starting this past August, there was a change to the way the Aeroplan seats were being released. Instead of releasing the entire percentage the 300 & some-odd days in advance (as they always did before), they were now only releasing them as a ratio of fully-paid seats are sold. Anyhow, all I know is that a flight that would have been easy to book is now impossible (without spending over 100,000 points for what should be 25,000 points). Aeroplan rewards? Not even on the best day! "Rewards" are actually a money grab, not only from the vendors (sorry, suckers) that pay Aeroplan to give YOU miles, but wait until you see what Aeroplan charges you for SERVICE FEES. I just booked the same identical 60,000 mile reward using United Mileage Plus for Cslgary to Copenhagen and return. I paid $447 LESS in fees that had I booked with Aeroplan!!! Same exact flights, same exact days, same class of service. And to top it off, both transatlantic flights are on Air Canada! When I asked for an explanation, some supervisor bimbo from Aeroplan in Montreal (named Mindy) could only make excuses and give no answers. I am completely FED UP with Aeroplan. I collect the bulk of my points on my CIBC Visa which I use to purchase just about everything. I will be cancelling my CIBC before the annual fee comes up again and I'm in the process of switching over to Cap One. Between almost never being able to get flights I want (have tried to book YVR to Maui for the past 3 years, a year in advance and still can't get anything reasonable, even in low season (unless I want to use 152K points! That's more than triple the regular 45K) - 17+ hours Vcr to Maui! Really!). Plus when I do get something the fees are horrendous! As someone else commented, you can pay for a flight (and get what you want) for only slightly more than the fees. As for hotels, I am not a 5-star traveller, I don't necessarily need (or want) to stay at "The Ritz", but I may want to stay downtown - no choices! I plan on cashing my points in on merch or gift cards. As I write this I am sitting at the airport; I have had my worst Aeroplan experience to date and it isn't over yet. I redeemed Aeroplan points for a one way ticket, the carrier is United. Checked in online, but could not print the barcode of the boarding pass at home. At the airport the self serve machine wouldn't recognize my confirmation number. The United desk is empty (early) and there's a piece of paper taped to the counter with a couple of toll free numbers. Did I mention there aren't any phones nearby? The flight hasn't left. I don't have checked baggage. There is no line at Customs, but there is also no one from the airline anywhere. The other airline desk agents laugh when I ask where I can find anyone from United. This goes on for 20 minutes so now I've missed the cut off though everyone is still sitting by the gate. My reservation says to call Aeroplan Centre to make reservation changes, because its not like I'm just going to cancel the trip. So I find a pay phone and start calling. On hold...Aeroplan guy says he can't help because the flight is operated by United. Call the first United number...on hold...then 'click' ...the line goes dead. Try again...same thing. Try the other number...on hold for 30 minutes...the nice lady told me that it is really an Air Canada flight, United can't make any changes to the res, I've got to call Air Canada now. She gives me the number. Call AC...on hold for 40 minutes...thinking the whole time that this will be for nothing, that I will be told to call United or Aeroplan...losing my mind...why is it so impossible to have a person at a desk or a phone that someone answers? Kudos to Larry at Air Canada who calmed a hyperventilating, sobbing, exhausted, frustrated traveller by finding a flight and not charging a change fee. I'll get in a day late and will have to go straight from the red eye to a meeting. If only there had been a body to help me instead of a recorded message, the run around, and standing for 90 minutes at a pay phone...the end result would have been the same (I get to my destination), but the stress level to accomplish the same end result would have been very different. Larry was the get-it-done guy I needed on the front line, not tucked away behind 40 minutes of on-hold messages. Being an Aeroplan hot potato is miserable. I've travelled Calgary-Wash D.C. 5 times on Air Cda with Aeroplan. Aeroplan has just changed the flights available. Used to always see AC flights available, maybe 1 or 2 United flights. Now there are no AC flights available, all United. United planes are more cramped, less comfortable, antiquated movie screens like used to find on Greyhound buses yrs ago. I can fly AC if I want to spend 75K pts, used to always do it for 25K. It seems like another way that AC/Aeroplan are out to screw the people they are trying to "reward". Me and my wife are one of the big time collector of Aerplan miles, and been with them for over 20 yrs. In the past, we enjoyed so much about the services provided by Aeroplan miles on flights to everywhere, and now I am also facing the fuel surcharges issue which make me and my wife very very unhappy, plus the increase of miles to 50000 from 40000 to become Gold Or Elite member of AC. I do hope someone like CEO or authorise person from Aeroplan or AC to see all this complains and rectify the problem facing by many Aeroplan member before they will lose them Big Time. Never think that a Giant will never die, save it before its too late!! I have been collecting and redeeming Aeroplan miles for over 15 years. I fly from YVR and I have taken many great vacations each year all over North America for free, either with my family (4 of us) of on my own in business class. Most flights have been operated by UA, so no issues with excess fees/surcharges...and I could deal with the taxes (which never went over $100 a ticket). I've always booked online without issues. Being organized (to book well in advance to get the 25,000 redemption - esp. for more than 1-2 tickets) and informed (knowing who you are flying with, how to book seats, and anticipating schedule changes) minimizes issues and surprises with any redemption program, and Aeroplan is no exception. My biggest beef with Aeroplan is the wait times if you have to call them. I've had to change a ticket a couple of times, and also fix a schedule mess up recently, and the 1+ hours to get a live agent is ridiculous. It's the price you pay to fly free. I will continue to collect and redeem Aeroplan points for my trips out east. They are a fantastic value! Booking a flight through Aeroplan is hopeless. The web-site never works! Call the number and some dude from India tells you there's a technical problem - You don't say! It's so frustrating - what a rubbish outfit. Found flights for 2, Toronto to Lisbon on Aeroplan March 2013. 2 stops, 20+ hours 80,0000 miles and $1342.00 in extra charges???? Went on Expedia and booked direct flights both ways on the days and times we wanted, total $1423.00 including all fees. Time to cancel the CIBC Aero Gold Visa...this is nuts. As I read all these comments about Aeroplan I`m amazed at the negativity and perhaps the misunderstandings. Booked flights, using either Aeroplan miles or by the payment method, will incur fuel surcharges and taxes. no matter what. That`s just the name of the beast. We have used Aeroplan miles to fly business class to England, Portugal, Vietnam, Bali & Germany. We could never have afforded these flights without Aeroplan. Here`s perhaps an unknown gem for you. If you book a business class ticket, but not all segments of your journey have this category available, upon arriving at the airport you can request to be upgraded. With Air Canada, as long as there are empty business class seats available, you`ll be upgraded, as you have already paid for this privilege. This applies only to Air Canada and not their Star Alliance partners. However, by just asking, it`s quite possible other Star Alliance members will upgrade you also. I was told RBC Avion was a better card, so used it for awhile, however, when I went to book a business class ticket I discovered that RBC didn`t have this category of rewards. I was totally surprised and needless to say, I went back to Aeroplan. Aeroplan suits our needs the best as business class is the only way to go on international flights. I recently searched for flights from Victoria to Krakow and return Vienna to Victoria only to find that Aeroplan could not come up with a single seat in Executive class to Europe. I tried multiple destinations, mulitple routings, not a single seat. For fun checked the seat maps on a number of routings, Lufthansa, Air Canada, United, came up with over 400 business class seats available to Europe. I understand the airlines need to "sell" seats however if they are going to offer a points program then perhaps they should live up to the program...over 400 seats available to be sold and not one for points? I searched for over a month...finally...two seats came up on United so I grabbed them. Two weeks later we decide to have a family member join....once again...not a single seat available. Very tiring. Aeroplan is the WORST! I have almost 800,000 miles... YES... that's 800,000 miles!! I can't book a flight for the life of me. I fly from out of winnipeg - no direct flights anywhere. The times are TERRIBLE... early morning or late night. Anything decent will cost me 50,000 miles... and that's domestic! I don't even know what to do.. I am going to try hard to cash out and LEAVE AEROPLAN. i just simnply cant swallow paying over $650 in tax and fuel surcharges on one flight to Europe. Me, my wife and one child is over $2000 to fly on "free flights". Air Canada and Aeroplan should be ashamed. From your fellow Winnipeger who needs miles!!! "As I read all these comments about Aeroplan I`m amazed at the negativity and perhaps the misunderstandings. Booked flights, using either Aeroplan miles or by the payment method, will incur fuel surcharges and taxes. no matter what. That`s just the name of the beast. We have used Aeroplan miles to fly business class to England, Portugal, Vietnam, Bali & Germany. We could never have afforded these flights without Aeroplan. Here`s perhaps an unknown gem for you. If you book a business class ticket, but not all segments of your journey have this category available, upon arriving at the airport you can request to be upgraded. With Air Canada, as long as there are empty business class seats available, you`ll be upgraded, as you have already paid for this privilege. This applies only to Air Canada and not their Star Alliance partners. However, by just asking, it`s quite possible other Star Alliance members will upgrade you also. I was told RBC Avion was a better card, so used it for awhile, however, when I went to book a business class ticket I discovered that RBC didn`t have this category of rewards. I was totally surprised and needless to say, I went back to Aeroplan. Aeroplan suits our needs the best as business class is the only way to go on international flights." Sure but now they are charging extra fuel surcharge and other taxes for business class. I just looked at an econo ticket yyz to london and taxes and fees were $660. The same flights, business class was $1137. The fuel surcharge went from $400 aaprox to $770!!! Not to meantion the heathrow airport fees jumped as well. This is outrageous. The surcharge was brought in to deal with elevated fuel costs when oil was + $120 a barrel. What is it now? $95. Cancel your aeroplan cards. Or at the least call and complain. Joke program. Just like they all say AIR CANADA E.G. one way Vancouver to Toronto checking on 10 feb for a mid October date is never available. Time to move on. We nearly always fly through the states now. AC is for government employees. But when will the government get a handle on this AC Quebec HQ office contrived scam. I used to be able to book flights, 8 or more months in advance with NO problem. Not any more. I tried to book a flight next January (11 months from now) and there were only 6 days available in the entire month. Something has obviously changed. How can they have seats on only six days in a month, 11 months in advance? Finally got annoyed enough to do something about the breathless excitement in Aeroplan emails. I lost my last 60,000 useful miles in a botched US reservation that would have cost more to change than to buy tickets for cash, the changing reward levels and made-up surcharges are a scam, and I generally avoid flying on AC anyway. The constant threats to take away any accumulated miles are just the insult on top of the injury. So I donated the remaining miles in my account, and went looking for the 'close account' function. I spent several minutes, then thought - Ah, maybe it's like Facebook, who do everything to hide the function. I spent even longer searching on Google, but nothing. The Aeroplan 'contact' page of course provides no useful contact information, only phone numbers. I found one, and spent half an hour on hold, listening to the same breathlessly bouncy music again and again and again. When the call was eventually answered, I explained that I was looking for the website function to close an account. She said she wasn't sure if there was one, and I said that's OK I'm happy to do it by phone, since I've already waited half an hour to get through. She said she wasn't sure about that either, and went off to talk to her 'resource person'. When she came back, she said they make it impossible to close the account either on-line or by phone: The only way to close it is by sending a snail-mail letter to their office in Vancouver. You have to laugh at forcing people to use mail - their website notes that even from prospective sponsor companies, they refuse to accept applications by mail, they force all applications to be done online. Making it hard to leave is one way they are able to sucker in more companies to participate, since Aeroplan can make it look like they have so many cardholders, even though so many would rather not be. It's always annoying to deal with companies that so clearly despise their customers, so now that I've spent all this time, just to make absolutely sure they are done screwing me, I will cough up the two bucks to make them remove my account. Where else can you get so much satisfaction for two bucks? I'm surprised with alot of these comments. I've never had any sort of problems with Aeroplan. Maybe I'm just one of the lucky one. For years I had no problem with Aeroplan - and I flew a lot. However, in the last couple of years it has become way more difficult to find flights at reasonable times and dates that I wanted to travel. But I persevered and managed. This year I tried to book a December flight from Kelowna to Manchester, UK and just couldn't do it. I was offered Kel. to Vanc. to Frankfurt and that was fine. But then to go into Manchester I would have had to fly to London and back to Munich and on to Manchester. Not acceptable. I'll use up my balance with North American flights and am cancelling my CIBC Aeroplan card before it expires. CIBC loses $30 to 40K of business, Aeroplan loses another client. Capital One gives double miles, sign up and renewal bonuses, and covers the whole flight including taxes. I'm looking forward to a happy partnership. My wife and I had recently travelled to Newfoundland using Aeroplan rewards. We have both been avid points collectors and max out every opportunity to collect Aeroplan points from our daily transactions and have often redeemed for flights and car rentals using our points. While it's always been painful trying to book for available rewards flights, we've always managed to make it work. This last trip (ironically the first within our own country's borders) was a nightmare. It was on our last day on the island and we were cut off from boarding a ferry and would therefore not make our flight later that evening. We called Air Canada to make necessary arrangements for alternative flights and were routed to Aeroplan who informed us that the next available flight out would be end of month (12 days later). The only alternative being to put our current return flight on hold for 12 months (to be rebooked for a future flight in the same direction (Maritimes back to Toronto) and to purchase new one way tickets (through Air Canada) for $1070 each. Scary part for us was to experience this in our own country. Up until this point, it was unthinkable... And to think of all of those previous trips we had taken overseas. What would we have done if something like this happened in another country and we didn't have a cell phone or easy way of contacting Aeroplan or Air Canada? And by the way, it is apparently quite normal for such exorbitant flight ticket prices to be charged from Newfoundland back to places like Toronto or even Halifax. Air Canada has a captive audience and they know that Newfoundlanders will pay to leave the island. I heard this firsthand from many locals after our unfortunate incident with the ferry. It is often cheaper for a Canadian to fly to Europe then it is to fly to the next province in his/her own country. How does that make any sense? 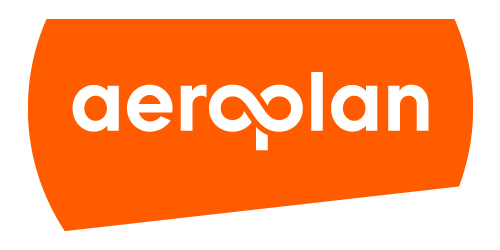 So in a nutshell, our reward for being Aeroplan members when something goes sideways is zero support, with Aeroplan deflecting over to Air Canada, saying that they are a 'Full fledged Loyalty program" only with no control with how 'their partners' operate. And Air Canada so far has chosen not to respond. (And it was only after I wrote a second time, copying in two executives from Aimia that I received a phone call from Aeroplan, just to restate that again, they are separate from Air Canada and could do nothing). A most convenient engine for deferring any responsibility. The best approach is to get a cash-back credit card and when the time comes to travel, find a cheap flight and pay cash. You will have more control and it will end up saving you money in the long run.